The Neluns team recently announced it’s ICO, which will be held in three stages (rounds): Pre-Sale, Pre-ICO, ICO. 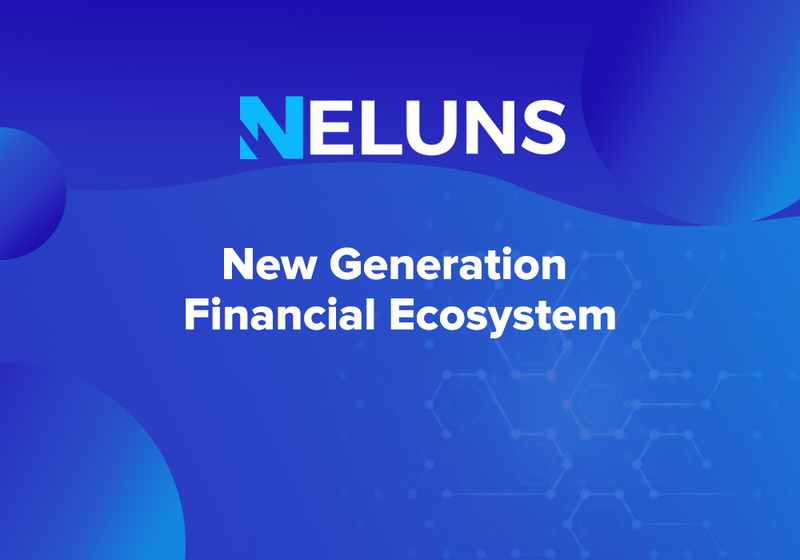 The mission of Neluns is to create an innovative financial ecosystem combining within itself a bank that works with fiat as well as cryptocurrencies, a cryptocurrency exchange, and insurance company, thus, creating the most beneficial conditions for the quality development of the cryptocurrency market. We have developed four types of software products and bank cards for our users: Lite, Silver, Gold, Platinum. Carrying out payments, purchasing and selling cryptocurrencies, and fund withdrawals from any ATM in the world will be available 24 hours a day 7 days a week. In the Neluns Bank, users will be able to receive loans in fiat and cryptocurrencies, make interest yielding deposits. Bank deposits are FDIC (The Federal Deposit Insurance Corporation) insured. A P2P fiat and cryptocurrency lending platform will function at the base of Neluns Bank. Authorized users will be able to receive and provide loans to other users. The use of the “Bank guarantee” principles allows us to create a new, high-quality cryptocurrency exchange, the Neluns Exchange. The combination of this principle with the use of innovative technologies, which allow easy fund withdrawals, high levels of protection from cyber attacks, and continual operations even under peak loads, creates the best conditions for cryptocurrency traders and funds. Neluns mobile application for iOS and Android devices will make bank and exchange operations accessible at any time from any part of the world. While around the clock support services will instantly solve all users’ issues. The Neluns team aims to minimize risks and carry out the project in accordance with all legal norms. We are working on acquiring a bank license. The Neluns Bank will adhere to all financial regulatory requirements, which licensing and supervisory activities over banks. The Neluns exchange and insurance company will also be registered in accordance with all regulatory requirements. The Neluns Exchange will carry CFTC (U.S Commodity Futures Trading Commission) and SEC (U.S Securities and Exchange Commission) licenses. Neluns Bank – new generation bank, providing all key banking services with fiat and cryptocurrencies. Neluns Exchange – an innovative cryptocurrency exchange, making secure and fast cryptocurrency trade operations accessible. 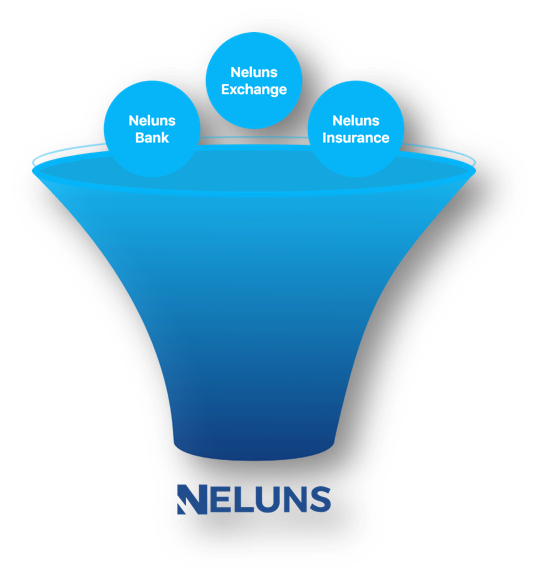 Neluns Insurance – an insurance company, allows for any transaction_ and trade_ carried out by ecosystem users to be secured. Buy and sell cryptocurrencies in a few clicks. Carry out active cryptocurrency trading on the exchange. Make deposits and withdrawals into the system from any part of the world in just a few clicks. Open an IBAN account – private or corporate multicurrency accounts. Issue debit and credit Visa, MasterCard, American Express cards. Instantly send and receive international money transfers. Store funds in Neluns deposits in fiat or cryptocurrencies and gain interest. Receive loans from Neluns in fiat and cryptocurrencies. Gain profits by lending out funds at interest on a Peer-to-peer (P2P) Lending Platform. Draw profits from trading NLS tokens on cryptocurrency exchanges. Active market participants will be able to increase their profits and lower risk levels. Neluns bank presents a broad spectrum of services for personal and corporate goals. While at the same time, all operations are conducted in fiat and in cryptocurrencies. After opening a multicurrency account, Neluns users will be able to carry out operations in USD, EUR, GBR, as well as in cryptocurrencies. A bank card will accompany the multicurrency account.